Have you ever felt that your prayers don't get past the ceiling, that God just doesn't hear anything you pray for? Do you sometimes wonder what it takes to get the answers you need? In A Year of Powerful Prayer, some of the most important and inspirational writings on the topic of prayer from Church leaders, gospel scholars, and other beloved writers have been gathered into 365 daily devotionals. Embark on a journey that will help to increase your understanding of prayer, help you recognize answers to prayers, and encourage you to utilize the power of prayer in a more meaningful way. Learn how to make your prayers more effective and strengthen your personal relationship with God. A Year of Powerful Prayer offers guidance, hope, and prophetic promises as you seek to discover how prayer can make a profound difference in your life. 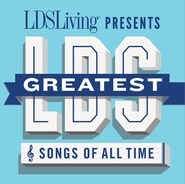 Includes selections from Gordon B. Hinckley, James E. Faust, Joseph B. Wirthlin, Neal A. Maxwell, Gerald N. Lund, Truman G. Madsen, Patricia R. Holland, Bruce R. McConkie, Robert L. Millet, Virginia H. Pearce, and S. Michael Wilcox. 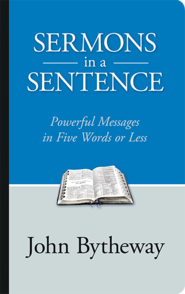 Click Here to view the sources for the quotations in this book. I have truly enjoyed reading this book! 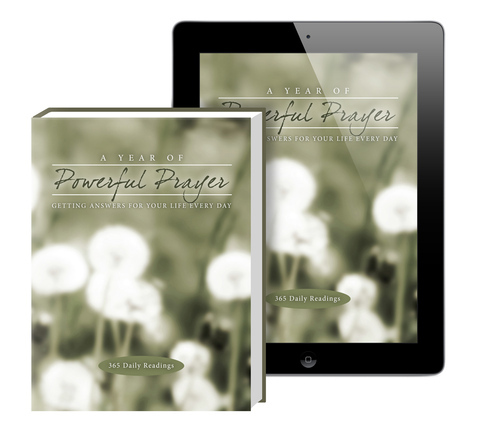 This book contains 365 daily readings of collected wisdom and insightful thoughts has speak on the power of prayer. It has really been moving to me throughout this year and as I have read it every day for a spiritual uplifting, I have discovered thoughts that have provoked my understanding in a positive manner! A year of powerful prayer is all about the workings of prayer, how to build upon prayer, and strengthen everyday prayers. As it says in the title, prayer can grow to become very powerful and full of love and understanding, if we take the time to learn more about it and become closer to our Heavenly Father. If you are deciding whether or not to purchase this book, let me tell you exactly why you should. This book provides the thoughts of prophets, apostles, and other church leaders that have great insights as to how to pray effectively. Struggling days may come along where one would feel utterly helpless and spiritually lost, but with the collection of wisdom that you find in this book, those days will become days of learning instead of wasted days stuck in a heap of trials. Prayer is easy but it can seem very tough at times and at those moments when most of us do not know what to pray for, we find something worth praying for. 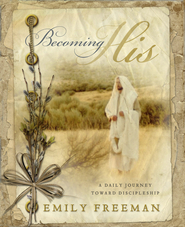 This book is not a story, but a tool for an everyday life that needs a little more spirit and guidance. I would recommend this wonderful book to anyone who feels a little lost and without spiritual food for everyday life. It has been a true joy to read this book and to feast upon its words every single day of the year. I pray that more people will read this divine book and share it’s goodness with others and I hope that others will read it with me as I read it again next year! :) PRAY ON! I am enjoying reading this wonderful devotional every morning. The quotes are short, to the point and cover all aspects of prayer. This is also an excellent way to get to know many different speakers. I also like the fact that you can start at any time during the year, as it does not indicate calendar days, but only Day 1, Day 2, etc. I've really enjoyed the "Year of Powerful Prayer". I love being able to read excerpts from different prophets, apostles and authors. I read a couple each morning and ponder my relationship with my Heavenly Father and how I communicate with him and try to apply what I've learned that day. I even take ones that I think will enrich my family's understanding and read the exerpt before we have family prayer at night and discuss. It's been a great aid in being able to talk about the gospel with my children. Wonderful way to learn about prayer, and have rich spiritual experiences as I apply the power of prayer in my life. 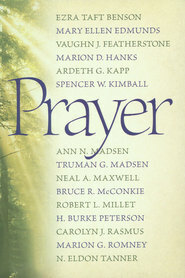 This book is a compilation of many authors and will give you great insight into prayer, why we need to pray, what to pray for, and how to understand the answers you are getting from prayer. The book is divided into sections and is meant to be a year-long study of prayer. I wanted to get a really good overview of the book so I read it quickly and learned SO MUCH. But if you really took the year to study daily from its pages it would be so POWERFUL! Started reading these as a quick devotional at night with my wife. The quotes come from many different spiritual leaders with the intent to improve our spiritual communication. It's a nice way to digest a topic of such magnitude. The quotes have good content but aren't too long. I'm really enjoying having and reading this book.